Did you see Tylar in Sunday’s Springfield News-Leader? We are excited to welcome Tylar Grant to the team as Marketing and Administrative Assistant! 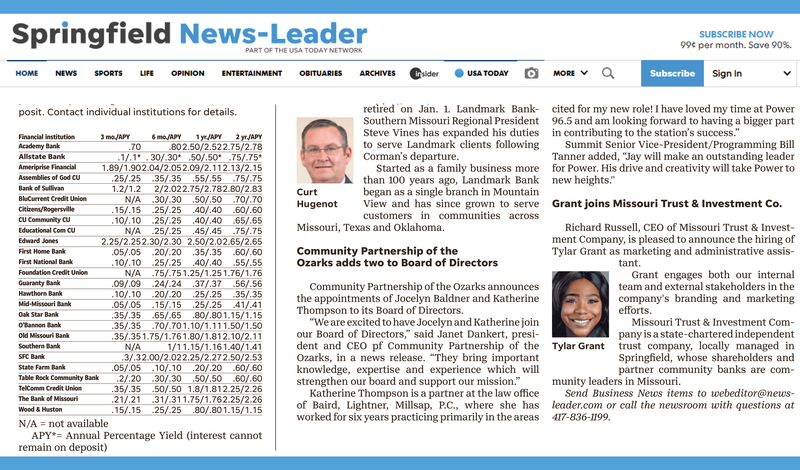 Grant joins Diane Musick, Jackie Higgins, Jeremy Loftin, Holly Melton, Richard Russell, Sharon Jobe, Tim Parrish and Laura Kiesel on the Missouri Trust & Investment Company staff.